(11780, Oklahoma Historical Society Photograph Collection, OHS). A governor of Oklahoma and a U.S. senator, Dewey F. Bartlett was destined to be an oilman. The Bartlett family had been consumed with oil fever when Dewey was born in Marietta, Ohio, March 28, 1919, to David and Jessie Bartlett. Young Bartlett was educated in the public schools of Marietta and Lawrenceville Preparatory School in New Jersey. He was president of the 1942 senior class at Princeton University, receiving a degree in geological engineering. Bartlett was introduced to Oklahoma by spending summers working as a roughneck on oil rigs near Dewey and Bartlesville. He enlisted in the Navy shortly after college graduation and was trained at the Naval Air School in Norman. He was a dive-bomber pilot for the U.S. Marine Corps, winning the Air Medal for action against Japanese installations in the South Pacific in World War II. Dewey Bartlett married Ann Smith, a native of Seattle, Washington, on April 2, 1945, in a ceremony at San Juan Capistrano mission. The young couple moved to Tulsa in 1946 and became active in the family oil and gas business, Keener Oil Company. Three children, Dewey, Jr., Michael, and Joanie, were born. While recovering from hepatitis in 1960, Bartlett became interested in Republican politics. He served in several volunteer positions before he was elected to the Oklahoma Senate from Tulsa County in 1962. The fast-moving newcomer introduced twenty-three bills as a freshman. He was reelected to the Senate in 1964 and gained the respect of friends and foes. A Catholic, in 1966 Bartlett became the first of his faith to formally run for governor. Making education his cornerstone, he reminded voters that out of every one hundred Oklahoma children who entered school, only sixty-one would graduate from high school and fifteen would graduate from college. He also promised to pursue a program of bringing quality jobs to the state. The voters like what they heard, and Bartlett was elected the state's second Republican governor in the November 8, 1966, general election. The Washington Post called the victory "the end of religious bigotry in Oklahoma." Wanting to run the state in a businesslike, corporate manner, Bartlett set about to streamline the functions of state government. He sought input from the private sector in a major study that resulted in $20 million in annual savings in the budget for state agencies and commissions. Bartlett spearheaded the overhaul of the Oklahoma judicial system and obtained the elimination of the justice of the peace system. Voters approved a new district courts system in 1967. Bartlett made advancement of minorities a high goal of his administration. Seeking qualified minority candidates for public positions, he appointed Charles Owens of Oklahoma City as the state's first black district judge. During Bartlett's administration African American Oklahomans were appointed for the first time to the boards of regents of Oklahoma State University and Tulsa Junior College. An important accomplishment of Bartlett's tenure was his unprecedented support of common education. Legislative appropriations for common schools increased by an astounding 89 percent in his four years. The governor believed that a well-trained work force would attract industry to Oklahoma. 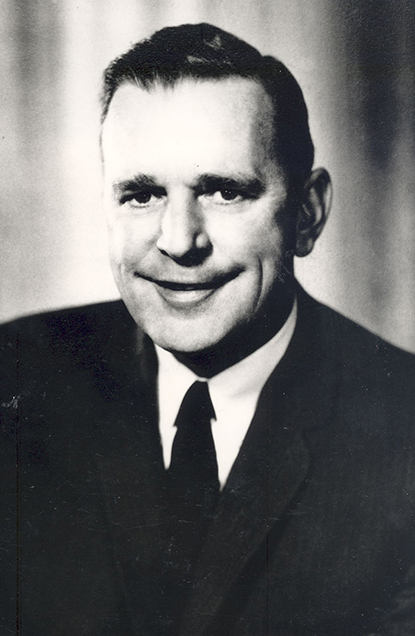 Democrat David Hall defeated Bartlett in his 1970 bid for reelection, but Bartlett successfully ran for the U.S. Senate in 1972. He exerted tremendous influence on behalf of his Oklahoma constituents and took care to speak on every important issue. After returning from a trip to South Vietnam and Cambodia in early 1975, he led the fight in the Senate for supplementary military assistance to South Vietnam and medical and food aid to Cambodia. He vigorously promoted the virtues of the free-market system and was a vocal advocate for America's oil and gas industry. A strong proponent of national defense, Bartlett was supported the controversial B-1 bomber program in 1976. In 1977 Bartlett was diagnosed with lung cancer and undertook treatment. Declining to seek reelection, he left the Senate in October 1978. Bartlett died in Tulsa on March 1, 1979, a few weeks before his sixtieth birthday. Bob Burke and Kenny Franks, Dewey F. Bartlett: The Bartlett Legacy (Edmond: University of Central Oklahoma Press, 1996). Danny F. Kee, "Dewey Follett Bartlett, Governor of Oklahoma, 1967–1971," in Oklahoma's Governors, 1955–1979: Growth and Reform, ed. LeRoy H. Fischer (Oklahoma City: Oklahoma Historical Society, 1985). Bob Burke, "Bartlett, Dewey Follett," The Encyclopedia of Oklahoma History and Culture, https://www.okhistory.org/publications/enc/entry.php?entry=BA029.